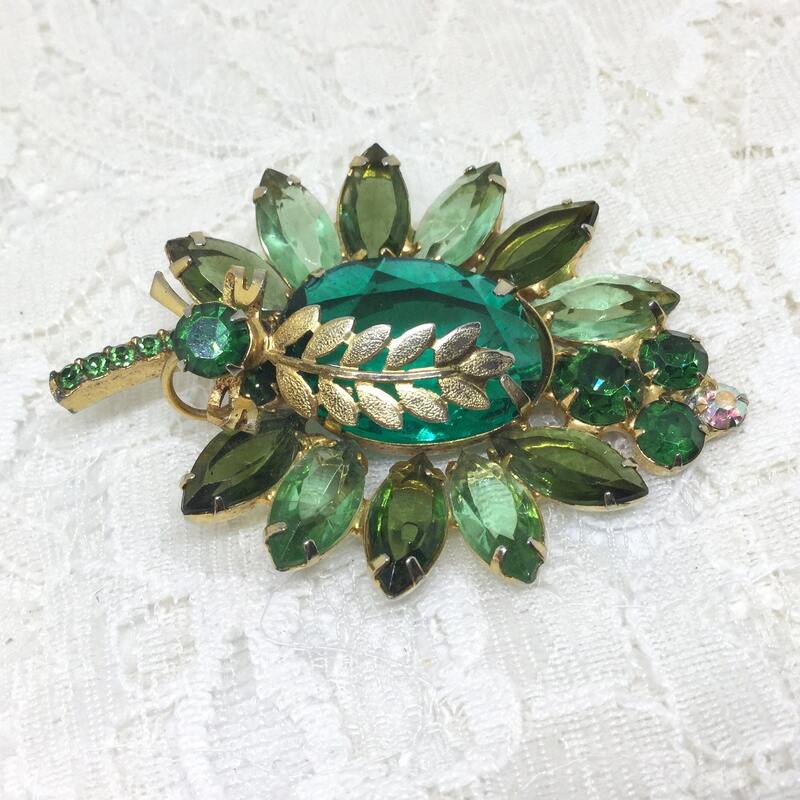 This is a glorious vintage D &E Juliana brooch featuring a very large green faceted rhinestone surrounded by different shades of green navettes and a round AB. 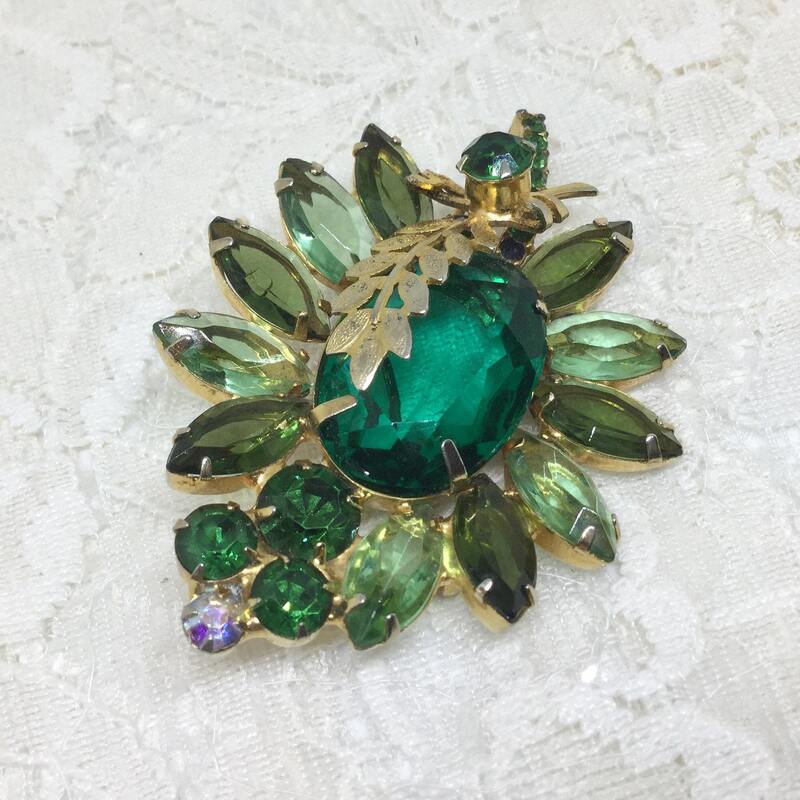 The rhinestones are all faceted and prong set. 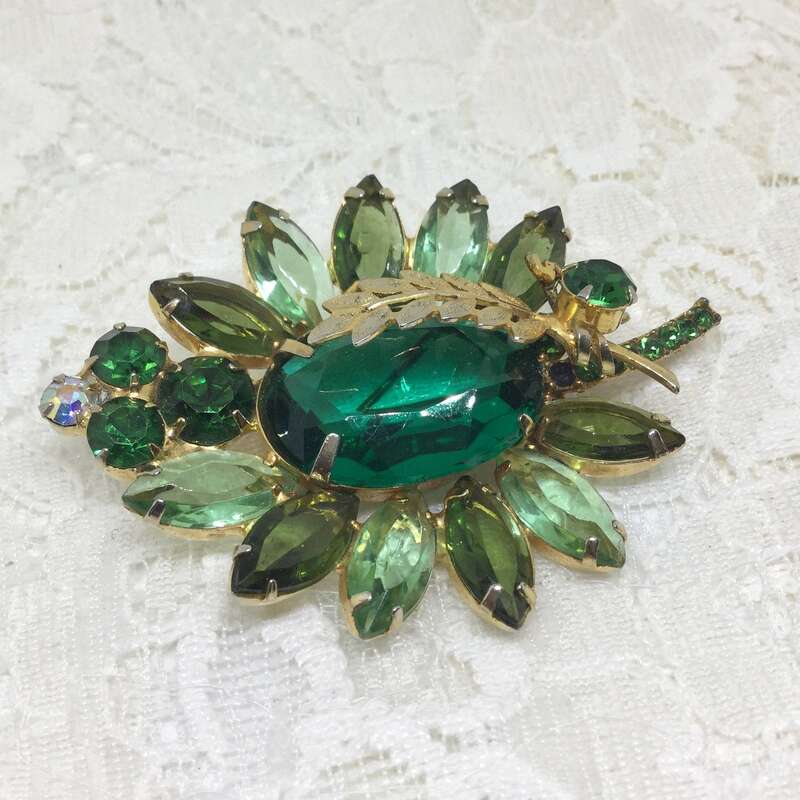 It is accented with a goldtone metal leaf branch extending the length of the large center stone. 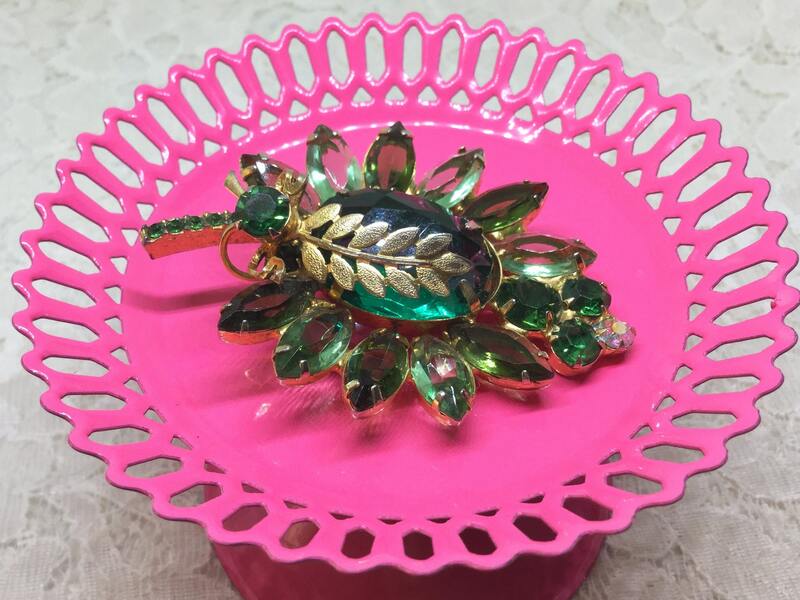 The three points of construction which are typical of Juliana are the open backs, the front shows as mostly rhinestones with little metal showing, and the floating hook, which holds the leaf branch and rhinestone, is attached on the bottom and floats freely on the top. 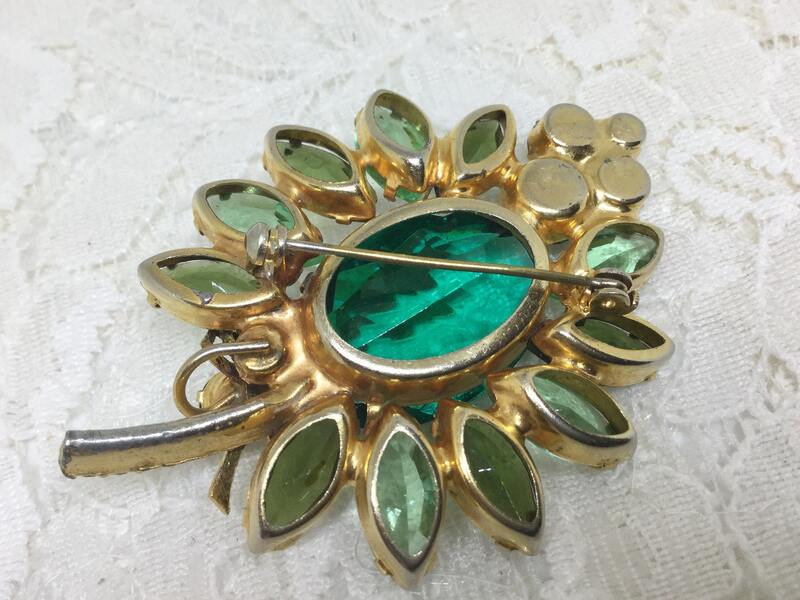 This brooch was made in a couple of different ways - this large oval center stone or a large round center stone. 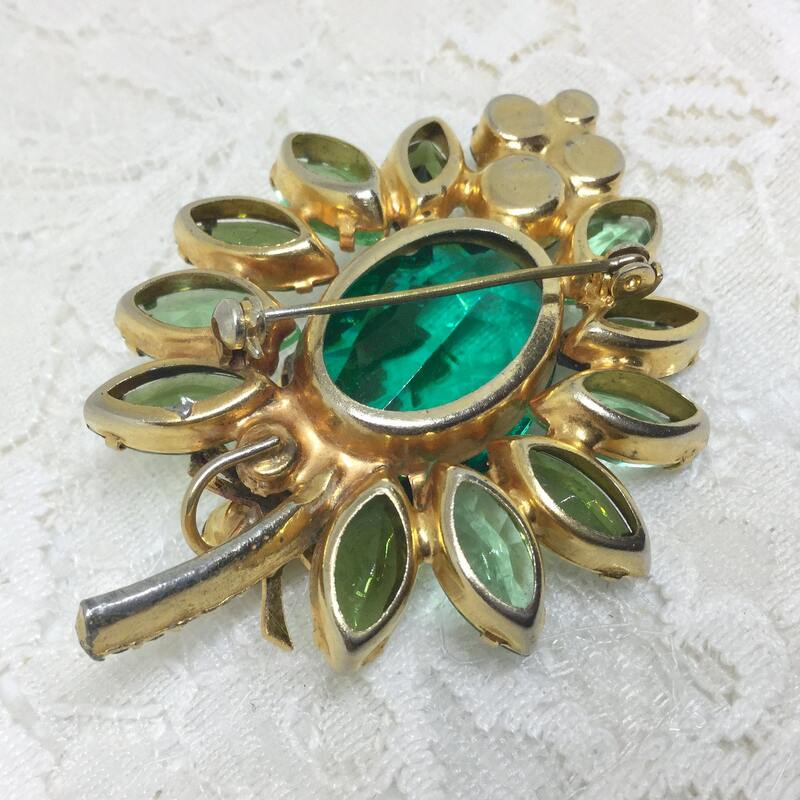 It measures 2 1/2" x 1 3/4" and the pinback is straight and closes smoothly and securely. There is some wear on the backside of the stem, otherwise in great shape. It is verified on the D&E Education Site and THE LAST GENERATION by Knutson and Weckel. 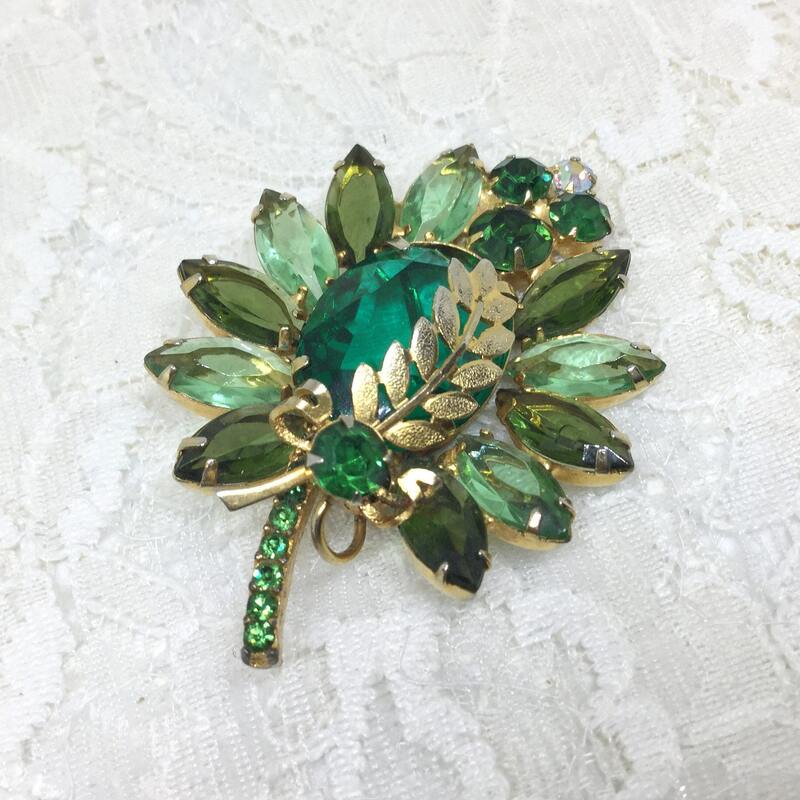 This is a classic and gorgeous brooch you will love to wear, give as a gift, or put in your own Juliana collection!